For many of us - including myself - the night represents a time of activity, productivity, and achievement. I know many young creative people - like painters and musicians - who feel more inspired to create incredible works of art after the sun sets or even past midnight. As a nocturnal content creator who treats blogging or video creation for Youtube as an artform, I totally understand why they feel that urge to seize the night. Of course, there are also the nurses or BPO employees who work on a graveyard shift - while the rest of the country sleeps - to contribute positively to society. Clearly, so many wonderful things can happen when the stars are finally showing and I'm just glad that at least one tech company is finally giving 'night' the attention that it deserves. After all, we do need a gadget companion in the evening to allow us to accomplish more or simply to capture moments in great detail. According to OPPO Mobile, "When night falls, everything changes. The night makes us daring and more care-free. We want to capture our most iconic moments and share them, yet most phone cameras can’t capture the night." They added, "Perfect moments don’t stop to wait for perfect lighting. 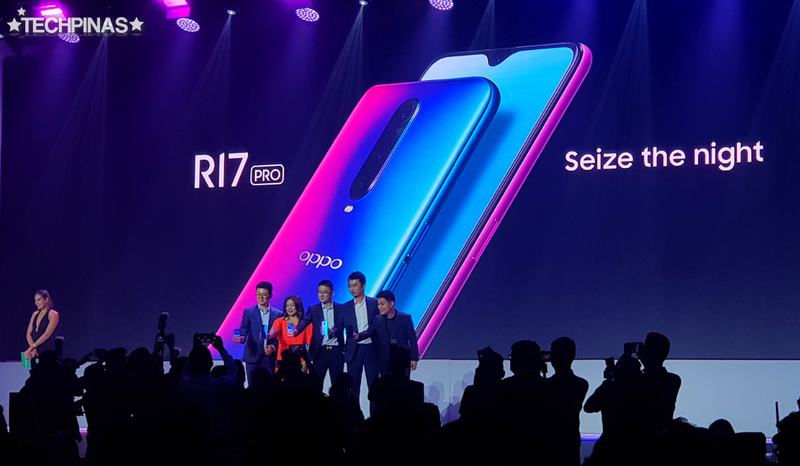 Equipped with smart aperture technology and Ultra Night mode, the OPPO R17 Pro is built for effortless nighttime performance, no matter how spontaneous your night may be." Want proof? Well, here are some night shots taken using the OPPO R17 Pro. I think they are absolutely incredible considering that so many smartphones struggle to snap clear photos at night. 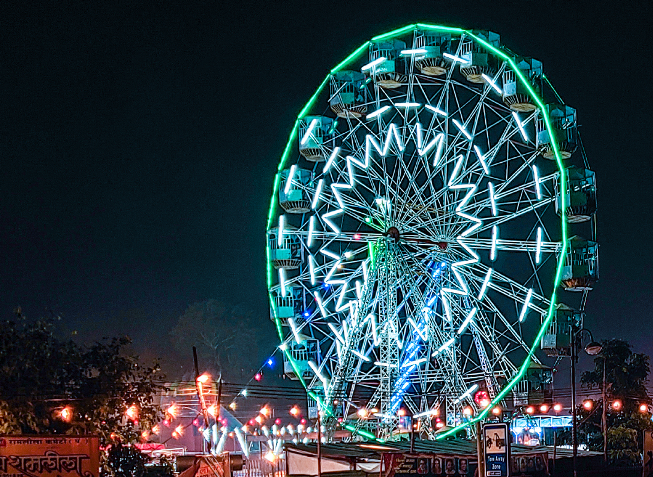 This image of a Ferris Wheel was taken in India. 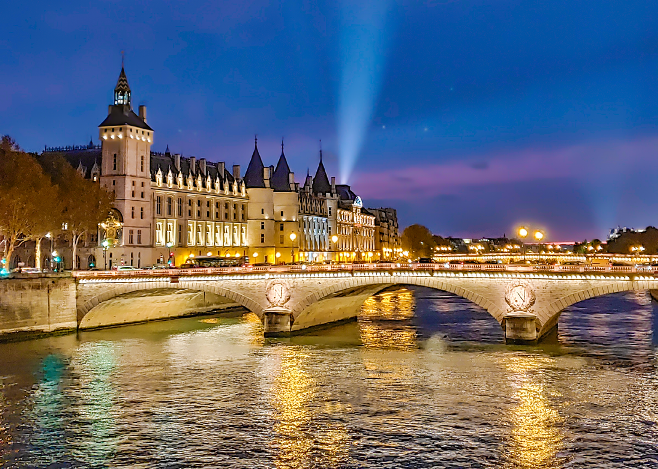 I believe this is the Pont au Change Bridge in Paris, France. 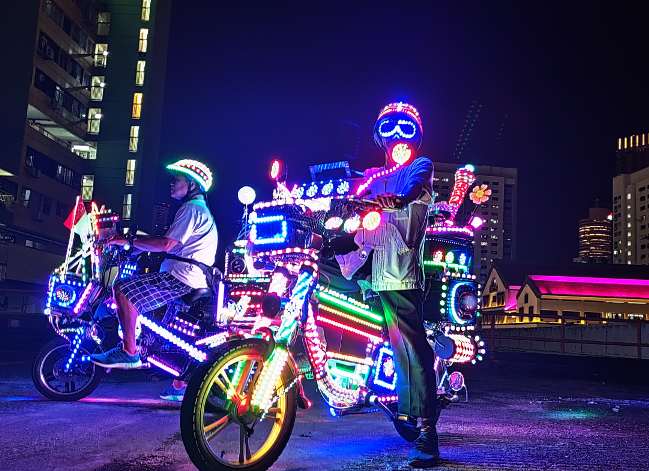 Check out this cool photo of motorcycle riders donning colorful LED lights in Singapore. 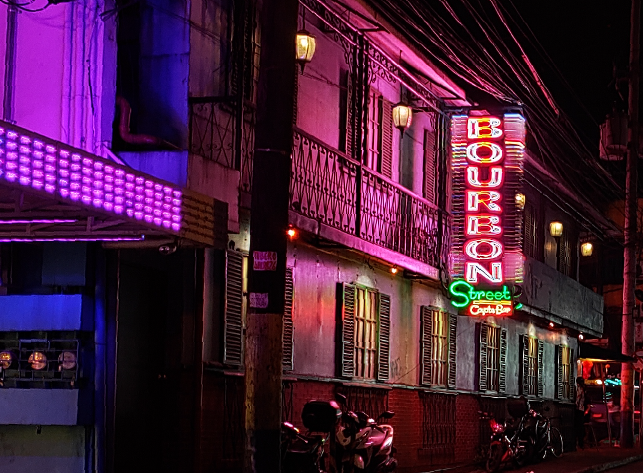 And finally, this is the facade of the Bourbon Street Coyote Bar in P. Burgos, Makati City, Philippines. With powerful low light imaging capabilities, the stellar OPPO R17 Pro brilliantly solves the challenges of night mobile photography through optimized hardware and software to deliver clear, crisp, and vibrant photos even at night. The unique technology used in this smartphone's Triple Camera System definitely enhances the quality of photos regardless of the lighting condition. In line with the official unveiling of this new OPPO R-Series flagship handset, the global tech brand is launching its landmark "Seize the Night" campaign to celebrate the culture of urban youthfulness that is basking under the dazzling night lights and vibrant evening thrum of the metro. To discover how today's youth sees and seizes the night, OPPO Mobile is launching a global promo that calls for night-photography entries. The best photos will be showcased on the company's social media channels - namely, Facebook, Twitter, and Instagram - and the 12 budding photographers will get a chance to win a five-night trip to Hong Kong for two. 1. To enter and have a chance to win the prize of a 5-night trip to Hong Kong for two will be required to take part in our #SeizeTheNight photo competition. a. To join the competition, participants will be required to take a photo at night with the theme of #ThatsMyNight. b. To be eligible to win the the 5-night trip to Hong Kong for two the participants MUST take a photo and post it using the hashtags #SeizeTheNight and/or #ThatsMyNight and tag @OPPO official global and/or local account on Facebook, Instagram or Twitter. Submissions must be made before 15th December 2018, 00:00am GMT+8. c. Participants will be disqualified if they send in a video or photo that does not belong to them. Guangdong OPPO Mobile Telecommunications Co., Ltd and its affiliates cannot be held liable for anything that happens to any participants while taking photos. 2. The winners of the 5-night trip to Hong Kong for two shall be selected by the Organizer, only if they have met the Participation Criteria above. 3. The Organizer shall select 12 winners from the participants on Facebook, Instagram, and Twitter who strictly followed the Participation Criteria, to enjoy the 5-night trip to Hong Kong for two held by the Organizer. Entries will be judged based on the story and visual beauty of the photo submission. b. Five (5) days, five (5) nights accommodation for two single room in a 4-star hotel in Hong Kong from 9th January to 14th January, 2019. The Organizer and its affiliates will not cover any food and entertainment expenses, and any other expenses which the winner may spend in Hong Kong. 5. The Organizer reserves the right to amend or vary these Terms and Conditions or to suspend/amend/terminate the promotion at any time. Feel free to follow OPPO Mobile Philippines on Facebook, Twitter, and Instagram to read the complete contest mechanics as well as the full terms and conditions. Of course, apart from the chance to explore one of the world’s most exciting cities at night, young Filipino mobile photographers who will participate in the #SeizeTheNight campaign can win OPPO R17 Pro units! So what are you waiting for? Join now! 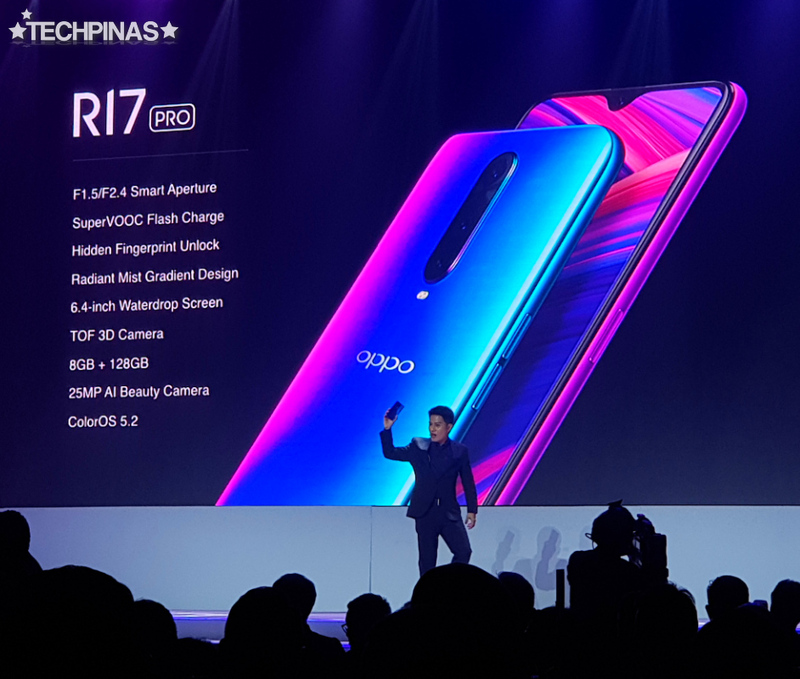 Having an official suggested retail price of PHP 38,990, OPPO R17 Pro is the company's current high-end Android smartphone in the Philippines. Design-wise, this powerful model features a beautiful gradient finish on its frosted glass back panel, which the company calls 'Radiant Mist'. For me, this unique look definitely makes this handset a real headturner. As for technical specifications, this device sports a Triple Rear Camera Module with TOF 3D shooter and f/1.5 to f/2.4 Smart Aperture System, 25 MegaPixel AI Beauty Selfie Camera, 6.4-inch FullHD+ IPS Display with Waterdrop Notch, Qualcomm Snapdragon 710 processor, 8GB RAM + 128GB ROM Combo, In-Display Fingerprint Scanner, and the patented SuperVOOC Flash Charging Technology giving the handset more than 30% battery charge after just 10 minutes of being plugged to an electrical outlet.